(4) if the child is disabled as defined in this chapter, for an indefinite period. (2) if the child is disabled as defined in this chapter, for an indefinite period. (b) The court may order either or both parents to make periodic payments for the support of a child in a proceeding in which the Department of Protective and Regulatory Services is named temporary managing conservator. In a proceeding in which the Department of Protective and Regulatory Services is named permanent managing conservator of a child whose parents’ rights have not been terminated, the court shall order each parent that is financially able to make periodic payments for the support of the child. (c) In a Title IV-D case, if neither parent has physical possession or conservatorship of the child, the court may render an order providing that a nonparent or agency having physical possession may receive, hold, or disburse child support payments for the benefit of the child. Added by Acts 1995, 74th Leg., ch. 20, Sec. 1, eff. April 20, 1995. Amended by Acts 1995, 74th Leg., ch. 751, Sec. 39, eff. Sept. 1, 1995; Acts 1999, 76th Leg., ch. 556, Sec. 8, eff. Sept. 1, 1999. Acts 2005, 79th Leg., Ch. 268 (S.B. 6), Sec. 1.08(a), eff. September 1, 2005. Acts 2013, 83rd Leg., R.S., Ch. 907 (H.B. 1228), Sec. 3, eff. September 1, 2013. Acts 2017, 85th Leg., R.S., Ch. 40 (S.B. 77), Sec. 1, eff. September 1, 2017. (B) the minimum attendance requirements imposed by the school in which the child is enrolled, if the child is enrolled in a private secondary school. (b) The request for a support order through high school graduation may be filed before or after the child’s 18th birthday. (c) The order for periodic support may provide that payments continue through the end of the month in which the child graduates. Added by Acts 1995, 74th Leg., ch. 20, Sec. 1, eff. April 20, 1995. Amended by Acts 1999, 76th Leg., ch. 506, Sec. 1, eff. Aug. 30, 1999; Acts 2003, 78th Leg., ch. 38, Sec. 1, eff. Sept. 1, 2003. (5) any combination of periodic payments, lump-sum payments, annuity purchases, or setting aside of property. Sec. 154.004. PLACE OF PAYMENT. (a) The court shall order the payment of child support to the state disbursement unit as provided by Chapter 234. (b) In a Title IV-D case, the court or the Title IV-D agency shall order that income withheld for child support be paid to the state disbursement unit of this state or, if appropriate, to the state disbursement unit of another state. (2) is not being enforced by the Title IV-D agency. Added by Acts 1995, 74th Leg., ch. 20, Sec. 1, eff. April 20, 1995. Amended by Acts 1999, 76th Leg., ch. 556, Sec. 9, eff. Sept. 1, 1999; Acts 2003, 78th Leg., ch. 1247, Sec. 1, eff. Sept. 1, 2003. Sec. 154.005. PAYMENTS OF SUPPORT OBLIGATION BY TRUST. (a) The court may order the trustees of a spendthrift or other trust to make disbursements for the support of a child to the extent the trustees are required to make payments to a beneficiary who is required to make child support payments as provided by this chapter. (b) If disbursement of the assets of the trust is discretionary, the court may order child support payments from the income of the trust but not from the principal. (6) if the child enlists in the armed forces of the United States, the date on which the child begins active service as defined by 10 U.S.C. Section 101. (b) Unless a nonparent or agency has been appointed conservator of the child under Chapter 153, the order for current child support, and any provision relating to conservatorship, possession, or access terminates on the marriage or remarriage of the obligor and obligee to each other. Added by Acts 1995, 74th Leg., ch. 20, Sec. 1, eff. April 20, 1995. Amended by Acts 1999, 76th Leg., ch. 556, Sec. 9, eff. Sept. 1, 1999; Acts 2003, 78th Leg., ch. 38, Sec. 2, eff. Sept. 1, 2003. Acts 2007, 80th Leg., R.S., Ch. 972 (S.B. 228), Sec. 9(a), eff. September 1, 2007. Acts 2007, 80th Leg., R.S., Ch. 1404 (S.B. 617), Sec. 1, eff. September 1, 2007. Acts 2011, 82nd Leg., R.S., Ch. 54 (S.B. 785), Sec. 1, eff. May 12, 2011. Sec. 154.007. ORDER TO WITHHOLD CHILD SUPPORT FROM INCOME. (a) In a proceeding in which periodic payments of child support are ordered, modified, or enforced, the court or Title IV-D agency shall order that income be withheld from the disposable earnings of the obligor as provided by Chapter 158. (b) If the court does not order income withholding, an order for support must contain a provision for income withholding to ensure that withholding may be effected if a delinquency occurs. (c) A child support order must be construed to contain a withholding provision even if the provision has been omitted from the written order. (d) If the order was rendered or last modified before January 1, 1987, the order is presumed to contain a provision for income withholding procedures to take effect in the event a delinquency occurs without further amendment to the order or future action by the court. Added by Acts 1995, 74th Leg., ch. 20, Sec. 1, eff. April 20, 1995. Amended by Acts 1997, 75th Leg., ch. 911, Sec. 10, eff. Sept. 1, 1997. Sec. 154.008. PROVISION FOR MEDICAL SUPPORT AND DENTAL SUPPORT. The court shall order medical support and dental support for the child as provided by Subchapters B and D.
Added by Acts 1995, 74th Leg., ch. 20, Sec. 1, eff. April 20, 1995. Amended by Acts 2001, 77th Leg., ch. 1023, Sec. 3, eff. Sept. 1, 2001. Acts 2015, 84th Leg., R.S., Ch. 1150 (S.B. 550), Sec. 8, eff. September 1, 2018. (2) was not a party to a suit in which support was ordered. (b) In ordering retroactive child support, the court shall apply the child support guidelines provided by this chapter. (c) Unless the Title IV-D agency is a party to an agreement concerning support or purporting to settle past, present, or future support obligations by prepayment or otherwise, an agreement between the parties does not reduce or terminate retroactive support that the agency may request. (3) a new child support order is sought after the date of the separation. (e) In rendering an order under Subsection (d), the court may order retroactive child support back to the date of the separation of the child’s parents. Added by Acts 1995, 74th Leg., ch. 20, Sec. 1, eff. April 20, 1995. Amended by Acts 2001, 77th Leg., ch. 1023, Sec. 4, eff. Sept. 1, 2001. (2) the marital status of the parents of the child. Sec. 154.011. SUPPORT NOT CONDITIONED ON POSSESSION OR ACCESS. A court may not render an order that conditions the payment of child support on whether a managing conservator allows a possessory conservator to have possession of or access to a child. Added by Acts 1995, 74th Leg., ch. 751, Sec. 40, eff. Sept. 1, 1995. Sec. 154.012. SUPPORT PAID IN EXCESS OF SUPPORT ORDER. (a) If an obligor is not in arrears and the obligor’s child support obligation has terminated, the obligee shall return to the obligor a child support payment made by the obligor that exceeds the amount of support ordered, regardless of whether the payment was made before, on, or after the date the child support obligation terminated. (b) An obligor may file a suit to recover a child support payment under Subsection (a). If the court finds that the obligee failed to return a child support payment under Subsection (a), the court shall order the obligee to pay to the obligor attorney’s fees and all court costs in addition to the amount of support paid after the date the child support order terminated. For good cause shown, the court may waive the requirement that the obligee pay attorney’s fees and costs if the court states the reasons supporting that finding. Added by Acts 1999, 76th Leg., ch. 363, Sec. 1, eff. Sept. 1, 1999. Amended by Acts 2001, 77th Leg., ch. 1023, Sec. 5, eff. Sept. 1, 2001. Sec. 154.013. CONTINUATION OF DUTY TO PAY SUPPORT AFTER DEATH OF OBLIGEE. (a) A child support obligation does not terminate on the death of the obligee but continues as an obligation to the child named in the support order, as required by this section. (b) Notwithstanding any provision of the Estates Code, a child support payment held by the Title IV-D agency, a local registry, or the state disbursement unit or any uncashed check or warrant representing a child support payment made before, on, or after the date of death of the obligee shall be paid proportionately for the benefit of each surviving child named in the support order and not to the estate of the obligee. The payment is free of any creditor’s claim against the deceased obligee’s estate and may be disbursed as provided by Subsection (c). (5) the surviving child, if the child is an adult or has otherwise had the disabilities of minority removed. (4) the child named in the support order, if the child is an adult or has otherwise had the disabilities of minority removed. (C) the managing conservator or guardian of the child, if one has been appointed. (f) On receipt of the order required under this section, the local registry, state disbursement unit, or Title IV-D agency shall disburse payments as required by the order. Added by Acts 2001, 77th Leg., ch. 1023, Sec. 6, eff. Sept. 1, 2001. Acts 2017, 85th Leg., R.S., Ch. 324 (S.B. 1488), Sec. 22.018, eff. September 1, 2017. Sec. 154.014. PAYMENTS IN EXCESS OF COURT-ORDERED AMOUNT. (a) If a child support agency or local child support registry receives from an obligor who is not in arrears a child support payment in an amount that exceeds the court-ordered amount, the agency or registry, to the extent possible, shall give effect to any expressed intent of the obligor for the application of the amount that exceeds the court-ordered amount. (2) promptly disburse the excess amount to the obligee. (c) This section does not apply to an obligee who is a recipient of public assistance under Chapter 31, Human Resources Code. Added by Acts 2001, 77th Leg., ch. 1491, Sec. 2, eff. Jan. 1, 2002. Renumbered from Family Code Sec. 154.013 by Acts 2003, 78th Leg., ch. 1275, Sec. 2(52), eff. Sept. 1, 2003. Sec. 154.015. ACCELERATION OF UNPAID CHILD SUPPORT OBLIGATION. (a) In this section, “estate” has the meaning assigned by Chapter 22, Estates Code. (b) If the child support obligor dies before the child support obligation terminates, the remaining unpaid balance of the child support obligation becomes payable on the date the obligor dies. (5) any other financial resource available for the support of the child. (d) If, after considering all relevant factors, the court finds that the child support obligation has been satisfied, the court shall render an order terminating the child support obligation. If the court finds that the child support obligation is not satisfied, the court shall render a judgment in favor of the obligee, for the benefit of the child, in the amount of the unpaid child support obligation determined under Subsection (c). The order must designate the obligee as constructive trustee, for the benefit of the child, of any money received in satisfaction of the judgment. (e) The obligee has a claim, on behalf of the child, against the deceased obligor’s estate for the unpaid child support obligation determined under Subsection (c). The obligee may present the claim in the manner provided by the Estates Code. (f) If money paid to the obligee for the benefit of the child exceeds the amount of the unpaid child support obligation remaining at the time of the obligor’s death, the obligee shall hold the excess amount as constructive trustee for the benefit of the deceased obligor’s estate until the obligee delivers the excess amount to the legal representative of the deceased obligor’s estate. Added by Acts 2007, 80th Leg., R.S., Ch. 1404 (S.B. 617), Sec. 2, eff. September 1, 2007. Acts 2015, 84th Leg., R.S., Ch. 1150 (S.B. 550), Sec. 9, eff. September 1, 2018. Acts 2017, 85th Leg., R.S., Ch. 324 (S.B. 1488), Sec. 22.019, eff. September 1, 2017. Sec. 154.016. PROVISION OF SUPPORT IN EVENT OF DEATH OF PARENT. (a) The court may order a child support obligor to obtain and maintain a life insurance policy, including a decreasing term life insurance policy, that will establish an insurance-funded trust or an annuity payable to the obligee for the benefit of the child that will satisfy the support obligation under the child support order in the event of the obligor’s death. (3) in the case of a disabled child under 18 years of age or an adult disabled child, an amount to be determined by the court under Section 154.306. (c) The court may, on its own motion or on a motion of the obligee, require the child support obligor to provide proof satisfactory to the court verifying compliance with the order rendered under this section. Acts 2015, 84th Leg., R.S., Ch. 1150 (S.B. 550), Sec. 10, eff. September 1, 2018. Sec. 154.061. COMPUTING NET MONTHLY INCOME. (a) Whenever feasible, gross income should first be computed on an annual basis and then should be recalculated to determine average monthly gross income. (b) The Title IV-D agency shall annually promulgate tax charts to compute net monthly income, subtracting from gross income social security taxes and federal income tax withholding for a single person claiming one personal exemption and the standard deduction. Sec. 154.062. NET RESOURCES. (a) The court shall calculate net resources for the purpose of determining child support liability as provided by this section. (5) all other income actually being received, including severance pay, retirement benefits, pensions, trust income, annuities, capital gains, social security benefits other than supplemental security income, United States Department of Veterans Affairs disability benefits other than non-service-connected disability pension benefits, as defined by 38 U.S.C. Section 101(17), unemployment benefits, disability and workers’ compensation benefits, interest income from notes regardless of the source, gifts and prizes, spousal maintenance, and alimony. (4) payments for foster care of a child. (6) if the obligor does not pay social security taxes, nondiscretionary retirement plan contributions. (e) In calculating the amount of the deduction for health care or dental coverage for a child under Subsection (d)(5), if the obligor has other minor dependents covered under the same health or dental insurance plan, the court shall divide the total cost to the obligor for the insurance by the total number of minor dependents, including the child, covered under the plan. (f) For purposes of Subsection (d)(6), a nondiscretionary retirement plan is a plan to which an employee is required to contribute as a condition of employment. Added by Acts 1995, 74th Leg., ch. 20, Sec. 1, eff. April 20, 1995. Amended by Acts 1995, 74th Leg., ch. 751, Sec. 41, eff. Sept. 1, 1995. Acts 2007, 80th Leg., R.S., Ch. 363 (S.B. 303), Sec. 1, eff. September 1, 2007. Acts 2007, 80th Leg., R.S., Ch. 620 (H.B. 448), Sec. 1, eff. September 1, 2007. Acts 2009, 81st Leg., R.S., Ch. 87 (S.B. 1969), Sec. 9.001, eff. September 1, 2009. Acts 2009, 81st Leg., R.S., Ch. 767 (S.B. 865), Sec. 4, eff. June 19, 2009. Acts 2009, 81st Leg., R.S., Ch. 834 (S.B. 1820), Sec. 1, eff. September 1, 2009. Acts 2009, 81st Leg., R.S., Ch. 1118 (H.B. 1151), Sec. 1, eff. September 1, 2009. Acts 2011, 82nd Leg., R.S., Ch. 91 (S.B. 1303), Sec. 9.001, eff. September 1, 2011. Acts 2011, 82nd Leg., R.S., Ch. 932 (S.B. 1751), Sec. 1, eff. September 1, 2012. Acts 2013, 83rd Leg., R.S., Ch. 1046 (H.B. 3017), Sec. 1, eff. September 1, 2013. Acts 2015, 84th Leg., R.S., Ch. 1150 (S.B. 550), Sec. 11, eff. September 1, 2018. (2) produce copies of income tax returns for the past two years, a financial statement, and current pay stubs. Sec. 154.064. MEDICAL SUPPORT AND DENTAL SUPPORT FOR CHILD PRESUMPTIVELY PROVIDED BY OBLIGOR. The guidelines for support of a child are based on the assumption that the court will order the obligor to provide medical support and dental support for the child in addition to the amount of child support calculated in accordance with those guidelines. Added by Acts 1995, 74th Leg., ch. 20, Sec. 1, eff. April 20, 1995. Amended by Acts 2001, 77th Leg., ch. 1023, Sec. 7, eff. Sept. 1, 2001. Acts 2015, 84th Leg., R.S., Ch. 1150 (S.B. 550), Sec. 12, eff. September 1, 2018. Sec. 154.065. SELF-EMPLOYMENT INCOME. (a) Income from self-employment, whether positive or negative, includes benefits allocated to an individual from a business or undertaking in the form of a proprietorship, partnership, joint venture, close corporation, agency, or independent contractor, less ordinary and necessary expenses required to produce that income. (b) In its discretion, the court may exclude from self-employment income amounts allowable under federal income tax law as depreciation, tax credits, or any other business expenses shown by the evidence to be inappropriate in making the determination of income available for the purpose of calculating child support. Sec. 154.066. INTENTIONAL UNEMPLOYMENT OR UNDEREMPLOYMENT. (a) If the actual income of the obligor is significantly less than what the obligor could earn because of intentional unemployment or underemployment, the court may apply the support guidelines to the earning potential of the obligor. (2) non-service-connected disability pension benefits, as defined by 38 U.S.C. Section 101(17). Acts 2013, 83rd Leg., R.S., Ch. 1046 (H.B. 3017), Sec. 2, eff. September 1, 2013. Sec. 154.067. DEEMED INCOME. (a) When appropriate, in order to determine the net resources available for child support, the court may assign a reasonable amount of deemed income attributable to assets that do not currently produce income. The court shall also consider whether certain property that is not producing income can be liquidated without an unreasonable financial sacrifice because of cyclical or other market conditions. If there is no effective market for the property, the carrying costs of such an investment, including property taxes and note payments, shall be offset against the income attributed to the property. (b) The court may assign a reasonable amount of deemed income to income-producing assets that a party has voluntarily transferred or on which earnings have intentionally been reduced. Sec. 154.068. WAGE AND SALARY PRESUMPTION. (a) In the absence of evidence of a party’s resources, as defined by Section 154.062(b), the court shall presume that the party has income equal to the federal minimum wage for a 40-hour week to which the support guidelines may be applied. (b) The presumption required by Subsection (a) does not apply if the court finds that the party is subject to an order of confinement that exceeds 90 days and is incarcerated in a local, state, or federal jail or prison at the time the court makes the determination regarding the party’s income. Acts 2013, 83rd Leg., R.S., Ch. 1046 (H.B. 3017), Sec. 3, eff. September 1, 2013. Acts 2015, 84th Leg., R.S., Ch. 1249 (H.B. 943), Sec. 1, eff. September 1, 2015. Sec. 154.069. NET RESOURCES OF SPOUSE. (a) The court may not add any portion of the net resources of a spouse to the net resources of an obligor or obligee in order to calculate the amount of child support to be ordered. (b) The court may not subtract the needs of a spouse, or of a dependent of a spouse, from the net resources of the obligor or obligee. Sec. 154.070. CHILD SUPPORT RECEIVED BY OBLIGOR. In a situation involving multiple households due child support, child support received by an obligor shall be added to the obligor’s net resources to compute the net resources before determining the child support credit or applying the percentages in the multiple household table in this chapter. Sec. 154.121. GUIDELINES FOR THE SUPPORT OF A CHILD. The child support guidelines in this subchapter are intended to guide the court in determining an equitable amount of child support. Sec. 154.122. APPLICATION OF GUIDELINES REBUTTABLY PRESUMED IN BEST INTEREST OF CHILD. (a) The amount of a periodic child support payment established by the child support guidelines in effect in this state at the time of the hearing is presumed to be reasonable, and an order of support conforming to the guidelines is presumed to be in the best interest of the child. (b) A court may determine that the application of the guidelines would be unjust or inappropriate under the circumstances. Sec. 154.123. ADDITIONAL FACTORS FOR COURT TO CONSIDER. (a) The court may order periodic child support payments in an amount other than that established by the guidelines if the evidence rebuts the presumption that application of the guidelines is in the best interest of the child and justifies a variance from the guidelines. (17) any other reason consistent with the best interest of the child, taking into consideration the circumstances of the parents. Sec. 154.124. AGREEMENT CONCERNING SUPPORT. (a) To promote the amicable settlement of disputes between the parties to a suit, the parties may enter into a written agreement containing provisions for support of the child and for modification of the agreement, including variations from the child support guidelines provided by Subchapter C.
(b) If the court finds that the agreement is in the child’s best interest, the court shall render an order in accordance with the agreement. (c) Terms of the agreement pertaining to child support in the order may be enforced by all remedies available for enforcement of a judgment, including contempt, but are not enforceable as a contract. (d) If the court finds the agreement is not in the child’s best interest, the court may request the parties to submit a revised agreement or the court may render an order for the support of the child. Added by Acts 1995, 74th Leg., ch. 20, Sec. 1, eff. April 20, 1995. Amended by Acts 2003, 78th Leg., ch. 480, Sec. 1, eff. Sept. 1, 2003. Sec. 154.125. APPLICATION OF GUIDELINES TO NET RESOURCES. (a) The guidelines for the support of a child in this section are specifically designed to apply to situations in which the obligor’s monthly net resources are not greater than $7,500 or the adjusted amount determined under Subsection (a-1), whichever is greater. (a-1) The dollar amount prescribed by Subsection (a) is adjusted every six years as necessary to reflect inflation. The Title IV-D agency shall compute the adjusted amount, to take effect beginning September 1 of the year of the adjustment, based on the percentage change in the consumer price index during the 72-month period preceding March 1 of the year of the adjustment, as rounded to the nearest $50 increment. The Title IV-D agency shall publish the adjusted amount in the Texas Register before September 1 of the year in which the adjustment takes effect. For purposes of this subsection, “consumer price index” has the meaning assigned by Section 341.201, Finance Code. Acts 2007, 80th Leg., R.S., Ch. 620 (H.B. 448), Sec. 2, eff. September 1, 2007. Acts 2009, 81st Leg., R.S., Ch. 767 (S.B. 865), Sec. 5, eff. June 19, 2009. Sec. 154.126. APPLICATION OF GUIDELINES TO ADDITIONAL NET RESOURCES. (a) If the obligor’s net resources exceed the amount provided by Section 154.125(a), the court shall presumptively apply the percentage guidelines to the portion of the obligor’s net resources that does not exceed that amount. Without further reference to the percentage recommended by these guidelines, the court may order additional amounts of child support as appropriate, depending on the income of the parties and the proven needs of the child. (b) The proper calculation of a child support order that exceeds the presumptive amount established for the portion of the obligor’s net resources provided by Section 154.125(a) requires that the entire amount of the presumptive award be subtracted from the proven total needs of the child. After the presumptive award is subtracted, the court shall allocate between the parties the responsibility to meet the additional needs of the child according to the circumstances of the parties. However, in no event may the obligor be required to pay more child support than the greater of the presumptive amount or the amount equal to 100 percent of the proven needs of the child. Acts 2007, 80th Leg., R.S., Ch. 620 (H.B. 448), Sec. 3, eff. September 1, 2007. Sec. 154.127. PARTIAL TERMINATION OF SUPPORT OBLIGATION. (a) A child support order for more than one child shall provide that, on the termination of support for a child, the level of support for the remaining child or children is in accordance with the child support guidelines. (2) the reduced total amount that the obligor is required to pay each month after the occurrence of an event described by Subdivision (1). Acts 2007, 80th Leg., R.S., Ch. 972 (S.B. 228), Sec. 10, eff. September 1, 2007. (4) determine the child support amount for the children before the court by applying the percentage guidelines for one household for the number of children of the obligor before the court to the obligor’s adjusted net resources. (b) For the purpose of determining a child support credit, the total number of an obligor’s children includes the children before the court for the establishment or modification of a support order and any other children, including children residing with the obligor, whom the obligor has the legal duty of support. (c) The child support credit with respect to children for whom the obligor is obligated by an order to pay support is computed, regardless of whether the obligor is delinquent in child support payments, without regard to the amount of the order. (3) the amount of child support ordered by the court varies from the amount computed by applying the percentage guidelines under Section 154.125 or 154.129, as applicable. (a-1) Repealed by Acts 2017, 85th Leg., R.S., Ch. 421 (S.B. 1237), Sec. 12(2), eff. September 1, 2017. (c) Findings under Subsection (b)(2) are required only if evidence of the monthly net resources of the obligee has been offered. Added by Acts 1995, 74th Leg., ch. 20, Sec. 1, eff. April 20, 1995. Amended by Acts 2001, 77th Leg., ch. 1023, Sec. 8, eff. Sept. 1, 2001. Acts 2007, 80th Leg., R.S., Ch. 620 (H.B. 448), Sec. 4, eff. September 1, 2007. Acts 2009, 81st Leg., R.S., Ch. 767 (S.B. 865), Sec. 6, eff. June 19, 2009. Acts 2009, 81st Leg., R.S., Ch. 767 (S.B. 865), Sec. 37, eff. June 19, 2009. Acts 2017, 85th Leg., R.S., Ch. 421 (S.B. 1237), Sec. 10, eff. September 1, 2017. Acts 2017, 85th Leg., R.S., Ch. 421 (S.B. 1237), Sec. 12(2), eff. September 1, 2017. Sec. 154.131. RETROACTIVE CHILD SUPPORT. (a) The child support guidelines are intended to guide the court in determining the amount of retroactive child support, if any, to be ordered. (4) the obligor has provided actual support or other necessaries before the filing of the action. (c) It is presumed that a court order limiting the amount of retroactive child support to an amount that does not exceed the total amount of support that would have been due for the four years preceding the date the petition seeking support was filed is reasonable and in the best interest of the child. (2) sought to avoid the establishment of a support obligation to the child. (e) An order under this section limiting the amount of retroactive support does not constitute a variance from the guidelines requiring the court to make specific findings under Section 154.130. (f) Notwithstanding any other provision of this subtitle, the court retains jurisdiction to render an order for retroactive child support in a suit if a petition requesting retroactive child support is filed not later than the fourth anniversary of the date of the child’s 18th birthday. Added by Acts 1995, 74th Leg., ch. 20, Sec. 1, eff. April 20, 1995. Amended by Acts 2001, 77th Leg., ch. 392, Sec. 1, eff. Sept. 1, 2001; Acts 2001, 77th Leg., ch. 821, Sec. 2.14, eff. June 14, 2001; Acts 2001, 77th Leg., ch. 1023, Sec. 9, eff; Sept. 1, 2001. Acts 2007, 80th Leg., R.S., Ch. 972 (S.B. 228), Sec. 11(a), eff. September 1, 2007. Sec. 154.132. APPLICATION OF GUIDELINES TO CHILDREN OF CERTAIN DISABLED OBLIGORS. In applying the child support guidelines for an obligor who has a disability and who is required to pay support for a child who receives benefits as a result of the obligor’s disability, the court shall apply the guidelines by determining the amount of child support that would be ordered under the child support guidelines and subtracting from that total the amount of benefits or the value of the benefits paid to or for the child as a result of the obligor’s disability. Added by Acts 1999, 76th Leg., ch. 891, Sec. 1, eff. Sept. 1, 1999. Sec. 154.133. APPLICATION OF GUIDELINES TO CHILDREN OF OBLIGORS RECEIVING SOCIAL SECURITY. In applying the child support guidelines for an obligor who is receiving social security old age benefits and who is required to pay support for a child who receives benefits as a result of the obligor’s receipt of social security old age benefits, the court shall apply the guidelines by determining the amount of child support that would be ordered under the child support guidelines and subtracting from that total the amount of benefits or the value of the benefits paid to or for the child as a result of the obligor’s receipt of social security old age benefits. Added by Acts 2001, 77th Leg., ch. 544, Sec. 1, eff. Sept. 1, 2001. (3) a proceeding under Chapter 159. (C) either parent has access to private health insurance at reasonable cost to the obligor. (c) In rendering temporary orders, the court shall, except for good cause shown, order that any health insurance coverage in effect for the child continue in effect pending the rendition of a final order, except that the court may not require the continuation of any health insurance that is not available to the parent at reasonable cost to the obligor. If there is no health insurance coverage in effect for the child or if the insurance in effect is not available at a reasonable cost to the obligor, the court shall, except for good cause shown, order health care coverage for the child as provided under Section 154.182. (2) except for good cause shown or on agreement of the parties, require the parent ordered to provide health care coverage for the child as provided under Section 154.182 to produce evidence to the court’s satisfaction that the parent has applied for or secured health insurance or has otherwise taken necessary action to provide for health care coverage for the child, as ordered by the court. (e) In this section, “reasonable cost” means the cost of health insurance coverage for a child that does not exceed nine percent of the obligor’s annual resources, as described by Section 154.062(b), if the obligor is responsible under a medical support order for the cost of health insurance coverage for only one child. If the obligor is responsible under a medical support order for the cost of health insurance coverage for more than one child, “reasonable cost” means the total cost of health insurance coverage for all children for which the obligor is responsible under a medical support order that does not exceed nine percent of the obligor’s annual resources, as described by Section 154.062(b). Added by Acts 1995, 74th Leg., ch. 20, Sec. 1, eff. April 20, 1995. Amended by Acts 2001, 77th Leg., ch. 449, Sec. 1, eff. June 5, 2001; Acts 2003, 78th Leg., ch. 610, Sec. 1, eff. Sept. 1, 2003. Acts 2007, 80th Leg., R.S., Ch. 363 (S.B. 303), Sec. 2, eff. September 1, 2007. Acts 2009, 81st Leg., R.S., Ch. 767 (S.B. 865), Sec. 7, eff. June 19, 2009. Sec. 154.1815. DENTAL SUPPORT ORDER. (a) In this section, “reasonable cost” means the cost of a dental insurance premium that does not exceed 1.5 percent of the obligor’s annual resources, as described by Section 154.062(b), if the obligor is responsible under a dental support order for the cost of dental insurance coverage for only one child. If the obligor is responsible under a dental support order for the cost of dental insurance coverage for more than one child, “reasonable cost” means the total cost of dental insurance coverage for all children for which the obligor is responsible under a dental support order that does not exceed 1.5 percent of the obligor’s annual resources, as described by Section 154.062(b). (b) In a suit affecting the parent-child relationship or in a proceeding under Chapter 159, the court shall render an order for the dental support of the child as provided by this section and Section 154.1825. (c) Before a hearing on temporary orders, or a final order if no hearing on temporary orders is held, the court shall require the parties to the proceedings to disclose in a pleading or other document whether the child is covered by dental insurance and, if the child is covered, the identity of the insurer providing the coverage, the policy number, which parent is responsible for payment of any insurance premium for the coverage, whether the coverage is provided through a parent’s employment, and the cost of the premium. If dental insurance is not in effect for the child, the parties must disclose to the court whether either parent has access to dental insurance at a reasonable cost to the obligor. (d) In rendering temporary orders, the court shall, except for good cause shown, order that any dental insurance coverage in effect for the child continue in effect pending the rendition of a final order, except that the court may not require the continuation of any dental insurance that is not available to the parent at a reasonable cost to the obligor. If dental insurance coverage is not in effect for the child or if the insurance in effect is not available at a reasonable cost to the obligor, the court shall, except for good cause shown, order dental insurance coverage for the child as provided by Section 154.1825. (2) except for good cause shown or on agreement of the parties, require the parent ordered to provide dental insurance coverage for the child as provided by Section 154.1825 to produce evidence to the court’s satisfaction that the parent has applied for or secured dental insurance or has otherwise taken necessary action to provide for dental insurance coverage for the child, as ordered by the court. Added by Acts 2015, 84th Leg., R.S., Ch. 1150 (S.B. 550), Sec. 14, eff. September 1, 2018. Sec. 154.182. HEALTH CARE COVERAGE FOR CHILD. (a) The court shall consider the cost, accessibility, and quality of health insurance coverage available to the parties and shall give priority to health insurance coverage available through the employment of one of the parties if the coverage is available at a reasonable cost to the obligor. (3) if health insurance coverage is not available for the child under Subdivision (1) or (2), the court shall order the obligor to pay the obligee, in addition to any amount ordered under the guidelines for child support, an amount, not to exceed nine percent of the obligor’s annual resources, as described by Section 154.062(b), as cash medical support for the child. (b-1) If the parent ordered to provide health insurance under Subsection (b)(1) or (2) is the obligee, the court shall order the obligor to pay the obligee, as additional child support, an amount equal to the actual cost of health insurance for the child, but not to exceed a reasonable cost to the obligor. In calculating the actual cost of health insurance for the child, if the obligee has other minor dependents covered under the same health insurance plan, the court shall divide the total cost to the obligee for the insurance by the total number of minor dependents, including the child covered under the plan. (b-2) If the court finds that neither parent has access to private health insurance at a reasonable cost to the obligor, the court shall order the parent awarded the exclusive right to designate the child’s primary residence or, to the extent permitted by law, the other parent to apply immediately on behalf of the child for participation in a government medical assistance program or health plan. If the child participates in a government medical assistance program or health plan, the court shall order cash medical support under Subsection (b)(3). (B) provides the obligee and, in a Title IV-D case, the Title IV-D agency, the information required under Section 154.185. (1) “Accessibility” means the extent to which health insurance coverage for a child provides for the availability of medical care within a reasonable traveling distance and time from the child’s primary residence, as determined by the court. (2) “Reasonable cost” has the meaning assigned by Section 154.181(e). (d) Repealed by Acts 2009, 81st Leg., R.S., Ch. 767, Sec. 37, eff. June 19, 2009. Added by Acts 1995, 74th Leg., ch. 20, Sec. 1, eff. April 20, 1995. Amended by Acts 1997, 75th Leg., ch. 550, Sec. 2, eff. June 2, 1997; Acts 2001, 77th Leg., ch. 449, Sec. 2, eff. June 5, 2001; Acts 2003, 78th Leg., ch. 610, Sec. 2, eff. Sept. 1, 2003. Acts 2007, 80th Leg., R.S., Ch. 363 (S.B. 303), Sec. 3, eff. September 1, 2007. Acts 2007, 80th Leg., R.S., Ch. 363 (S.B. 303), Sec. 4, eff. September 1, 2007. Acts 2007, 80th Leg., R.S., Ch. 620 (H.B. 448), Sec. 5, eff. September 1, 2007. Acts 2009, 81st Leg., R.S., Ch. 767 (S.B. 865), Sec. 8, eff. June 19, 2009. Acts 2009, 81st Leg., R.S., Ch. 767 (S.B. 865), Sec. 8, eff. September 1, 2009. (1) “Accessibility” means the extent to which dental insurance coverage for a child provides for the availability of dental care within a reasonable traveling distance and time from the child’s primary residence, as determined by the court. (2) “Reasonable cost” has the meaning assigned by Section 154.1815(a). (b) The court shall consider the cost, accessibility, and quality of dental insurance coverage available to the parties and shall give priority to dental insurance coverage available through the employment of one of the parties if the coverage is available at a reasonable cost to the obligor. (2) if dental insurance is not available for the child under Subdivision (1) but is available to a parent from another source and at a reasonable cost, the court may order that parent to provide dental insurance for the child. (d) If the parent ordered to provide dental insurance under Subsection (c)(1) or (2) is the obligee, the court shall order the obligor to pay the obligee, as additional child support, an amount equal to the actual cost of dental insurance for the child, but not to exceed a reasonable cost to the obligor. In calculating the actual cost of dental insurance for the child, if the obligee has other minor dependents covered under the same dental insurance plan, the court shall divide the total cost to the obligee for the insurance by the total number of minor dependents, including the child covered under the plan. Added by Acts 2015, 84th Leg., R.S., Ch. 1150 (S.B. 550), Sec. 15, eff. September 1, 2018. Sec. 154.1826. HEALTH CARE PROGRAM FOR CERTAIN CHILDREN IN TITLE IV-D CASES. (1) “Health benefit plan issuer” means an insurer, health maintenance organization, or other entity authorized to provide health benefits coverage under the laws of this state. (2) “Health care provider” means a physician or other person who is licensed, certified, or otherwise authorized to provide a health care service in this state. (3) “Program” means the child health care program developed under this section. (4) “Reasonable cost” has the meaning assigned by Section 154.181(e). (5) “Third-party administrator” means a person who is not a health benefit plan issuer or agent of a health benefit plan issuer and who provides administrative services for the program, including processing enrollment of eligible children in the program and processing premium payments on behalf of the program. (b) In consultation with the Texas Department of Insurance, the Health and Human Services Commission, and representatives of the insurance industry in this state, the Title IV-D agency shall develop and implement a statewide program to address the health care needs of children in Title IV-D cases for whom health insurance is not available to either parent at reasonable cost under Section 154.182(b)(1) or under Section 154.182(b)(2) from a source other than the program. (4) representatives of the insurance industry. (d) The principal objective of the program is to provide basic health care services, including office visits with health care providers, hospitalization, and diagnostic and emergency services, to eligible children in Title IV-D cases at reasonable cost to the parents obligated by court order to provide medical support for the children. (e) The Title IV-D agency may use available private resources, including gifts and grants, in administering the program. (f) The Title IV-D agency shall adopt rules as necessary to implement the program. The Title IV-D agency shall consult with the Texas Department of Insurance and the Health and Human Services Commission in establishing policies and procedures for the administration of the program and in determining appropriate benefits to be provided under the program. (g) A health benefit plan issuer that participates in the program may not deny health care coverage under the program to eligible children because of preexisting conditions or chronic illnesses. A child who is determined to be eligible for coverage under the program continues to be eligible until the termination of the parent’s duty to pay child support as specified by Section 154.006. Enrollment of a child in the program does not preclude the subsequent enrollment of the child in another health care plan that becomes available to the child’s parent at reasonable cost, including a health care plan available through the parent’s employment or the state child health plan under Chapter 62, Health and Safety Code. (h) The Title IV-D agency shall contract with an independent third-party administrator to provide necessary administrative services for operation of the program. (i) A person acting as a third-party administrator under Subsection (h) is not considered an administrator for purposes of Chapter 4151, Insurance Code. (j) The Title IV-D agency shall solicit applications for participation in the program from health benefit plan issuers that meet requirements specified by the agency. Each health benefit plan issuer that participates in the program must hold a certificate of authority issued by the Texas Department of Insurance. (k) The Title IV-D agency shall promptly notify the courts of this state when the program has been implemented and is available to provide for the health care needs of children described by Subsection (b). The notification must specify a date beginning on which children may be enrolled in the program. (l) On or after the date specified in the notification required by Subsection (k), a court that orders health care coverage for a child in a Title IV-D case shall order that the child be enrolled in the program authorized by this section unless other health insurance is available for the child at reasonable cost, including the state child health plan under Chapter 62, Health and Safety Code. (m) Payment of premium costs for the enrollment of a child in the program may be enforced by the Title IV-D agency against the obligor by any means available for the enforcement of a child support obligation, including income withholding under Chapter 158. (n) The program is not subject to any provision of the Insurance Code or other law that requires coverage or the offer of coverage of a health care service or benefit. (o) Any health information obtained by the program, or by a third-party administrator providing program services, that is subject to the Health Insurance Portability and Accountability Act of 1996 (42 U.S.C. Section 1320d et seq.) or Chapter 181, Health and Safety Code, is confidential and not open to public inspection. Any personally identifiable financial information or supporting documentation of a parent whose child is enrolled in the program that is obtained by the program, or by a third-party administrator providing program services, is confidential and not open to public inspection. Added by Acts 2009, 81st Leg., R.S., Ch. 767 (S.B. 865), Sec. 9, eff. June 19, 2009. Sec. 154.1827. ADMINISTRATIVE ADJUSTMENT OF MEDICAL SUPPORT ORDER. (a) In each Title IV-D case in which a medical support order requires that a child be enrolled in a health care program under Section 154.1826, the Title IV-D agency may administratively adjust the order as necessary on an annual basis to reflect changes in the amount of premium costs associated with the child’s enrollment. (b) The Title IV-D agency shall provide notice of the administrative adjustment to the obligor and the clerk of the court that rendered the order. (3) may be enforced by any means available for the enforcement of child support, including withholding from earnings under Chapter 158. (b) If the court finds and states in the child support order that the obligee will maintain health insurance coverage, dental insurance coverage, or both, for the child at the obligee’s expense, the court shall increase the amount of child support to be paid by the obligor in an amount not exceeding the actual cost to the obligee for maintaining the coverage, as provided under Sections 154.182(b-1) and 154.1825(d). (2) amounts paid by either party as deductibles or co-payments in obtaining health care or dental care services for the child covered under a health insurance or dental insurance policy. Acts 2007, 80th Leg., R.S., Ch. 363 (S.B. 303), Sec. 5, eff. September 1, 2007. Acts 2007, 80th Leg., R.S., Ch. 620 (H.B. 448), Sec. 6, eff. September 1, 2007. Acts 2009, 81st Leg., R.S., Ch. 87 (S.B. 1969), Sec. 9.002, eff. September 1, 2009. Acts 2009, 81st Leg., R.S., Ch. 767 (S.B. 865), Sec. 10, eff. June 19, 2009. Acts 2015, 84th Leg., R.S., Ch. 1150 (S.B. 550), Sec. 16, eff. September 1, 2018. Sec. 154.184. EFFECT OF ORDER. (a) Receipt of a medical support order requiring that health insurance be provided for a child or a dental support order requiring that dental insurance be provided for a child shall be considered a change in the family circumstances of the employee or member, for health insurance purposes and dental insurance purposes, equivalent to the birth or adoption of a child. (b) If the employee or member is eligible for dependent health coverage or dependent dental coverage, the employer shall automatically enroll the child for the first 31 days after the receipt of the order or notice of the medical support order or the dental support order under Section 154.186 on the same terms and conditions as apply to any other dependent child. (c) The employer shall notify the insurer of the automatic enrollment. (d) During the 31-day period, the employer and insurer shall complete all necessary forms and procedures to make the enrollment permanent or shall report in accordance with this subchapter the reasons the coverage cannot be made permanent. Added by Acts 1995, 74th Leg., ch. 20, Sec. 1, eff. April 20, 1995. Amended by Acts 1995, 74th Leg., ch. 341, Sec. 4.03, eff. Sept. 1, 1995; Acts 1997, 75th Leg., ch. 911, Sec. 11, eff. Sept. 1, 1997. Acts 2015, 84th Leg., R.S., Ch. 1150 (S.B. 550), Sec. 17, eff. September 1, 2018. (D) if the employer is self-insured, a copy of the schedule of benefits, a membership card, claim forms, and any other information necessary to submit a claim. (b) The court shall also order a parent providing health insurance or dental insurance to furnish the obligor, obligee, or child support agency with additional information regarding the health insurance coverage or dental insurance coverage not later than the 15th day after the date the information is received by the parent. Added by Acts 1995, 74th Leg., ch. 20, Sec. 1, eff. April 20, 1995. Amended by Acts 2001, 77th Leg., ch. 1023, Sec. 10, eff. Sept. 1, 2001. Acts 2015, 84th Leg., R.S., Ch. 1150 (S.B. 550), Sec. 18, eff. September 1, 2018. Sec. 154.186. NOTICE TO EMPLOYER CONCERNING MEDICAL SUPPORT OR DENTAL SUPPORT. (a) The obligee, obligor, or a child support agency of this state or another state may send to the employer a copy of the order requiring an employee to provide health insurance coverage or dental insurance coverage for a child or may include notice of the medical support order or dental support order in an order or writ of withholding sent to the employer in accordance with Chapter 158. (b) In an appropriate Title IV-D case, the Title IV-D agency of this state or another state shall send to the employer the national medical support notice required under Part D, Title IV of the federal Social Security Act (42 U.S.C. Section 651 et seq. ), as amended. The notice may be used in any other suit in which an obligor is ordered to provide health insurance coverage for a child. (c) The Title IV-D agency by rule shall establish procedures consistent with federal law for use of the national medical support notice and may prescribe forms for the efficient use of the notice. The agency shall provide the notice and forms, on request, to obligees, obligors, domestic relations offices, friends of the court, and attorneys. Added by Acts 1995, 74th Leg., ch. 20, Sec. 1, eff. April 20, 1995. Amended by Acts 1995, 74th Leg., ch. 341, Sec. 4.04, eff. Sept. 1, 1995; Acts 1997, 75th Leg., ch. 911, Sec. 12, eff. Sept. 1, 1997; Acts 2003, 78th Leg., ch. 120, Sec. 1, eff. July 1, 2003. Acts 2007, 80th Leg., R.S., Ch. 972 (S.B. 228), Sec. 12, eff. September 1, 2007. Acts 2015, 84th Leg., R.S., Ch. 1150 (S.B. 550), Sec. 19, eff. September 1, 2018. Acts 2015, 84th Leg., R.S., Ch. 1150 (S.B. 550), Sec. 20, eff. September 1, 2018. Sec. 154.187. DUTIES OF EMPLOYER. (a) An order or notice under this subchapter to an employer directing that health insurance coverage or dental insurance coverage be provided to a child of an employee or member is binding on a current or subsequent employer on receipt without regard to the date the order was rendered. If the employee or member is eligible for dependent health coverage or dental coverage for the child, the employer shall immediately enroll the child in a health insurance plan or dental insurance plan regardless of whether the employee is enrolled in the plan. If dependent coverage is not available to the employee or member through the employer’s health insurance plan or dental insurance plan or enrollment cannot be made permanent or if the employer is not responsible or otherwise liable for providing such coverage, the employer shall provide notice to the sender in accordance with Subsection (c). (b) If additional premiums are incurred as a result of adding the child to the health insurance plan or the dental insurance plan, the employer shall deduct the health insurance premium or the dental insurance premium from the earnings of the employee in accordance with Chapter 158 and apply the amount withheld to payment of the insurance premium. (2) cannot be enrolled or cannot be enrolled permanently in the employer’s health insurance plan or dental insurance plan and provide the reason why coverage or permanent coverage cannot be provided. (d) If the employee ceases employment or if the health insurance coverage or dental insurance coverage lapses, the employer shall provide to the sender, not later than the 15th day after the date of the termination of employment or the lapse of the coverage, notice of the termination or lapse and of the availability of any conversion privileges. (e) On request, the employer shall release to the sender information concerning the available health insurance coverage or dental insurance coverage, including the name of the health insurance carrier or dental insurance carrier, the policy number, a copy of the policy and schedule of benefits, a health insurance or dental insurance membership card, and claim forms. (f) In this section, “sender” means the person sending the order or notice under Section 154.186. (g) An employer who fails to enroll a child, fails to withhold or remit premiums or cash medical support, or discriminates in hiring or employment on the basis of a medical support order or notice or a dental support order or notice under this subchapter shall be subject to the penalties and fines in Subchapter C, Chapter 158. (h) An employer who receives a national medical support notice under Section 154.186 shall comply with the requirements of the notice. (i) The notices required by Subsections (c) and (d) must be provided to the sender by first class mail, unless the sender is the Title IV-D agency. Notices to the Title IV-D agency may be provided electronically or via first class mail. Added by Acts 1995, 74th Leg., ch. 20, Sec. 1, eff. April 20, 1995. Amended by Acts 1995, 74th Leg., ch. 341, Sec. 4.05, eff. Sept. 1, 1995; Acts 1997, 75th Leg., ch. 911, Sec. 13, eff. Sept. 1, 1997; Acts 2003, 78th Leg., ch. 120, Sec. 2, eff. July 1, 2003. Acts 2009, 81st Leg., R.S., Ch. 767 (S.B. 865), Sec. 11, eff. June 19, 2009. Acts 2011, 82nd Leg., R.S., Ch. 508 (H.B. 1674), Sec. 1, eff. September 1, 2011. Acts 2015, 84th Leg., R.S., Ch. 859 (S.B. 1726), Sec. 4, eff. September 1, 2015. Acts 2015, 84th Leg., R.S., Ch. 1150 (S.B. 550), Sec. 21, eff. September 1, 2018. (2) the cost of health insurance premiums, dental insurance premiums, or contributions, if any, paid on behalf of the child. Added by Acts 1995, 74th Leg., ch. 20, Sec. 1, eff. April 20, 1995. Amended by Acts 2001, 77th Leg., ch. 295, Sec. 1, eff. Sept. 1, 2001; Acts 2003, 78th Leg., ch. 610, Sec. 3, eff. Sept. 1, 2003. Acts 2015, 84th Leg., R.S., Ch. 1150 (S.B. 550), Sec. 22, eff. September 1, 2018. (2) availability of additional health insurance or dental insurance to the obligor for the child after a termination or lapse of coverage not later than the 15th day after the date the insurance becomes available. (b) If termination of coverage results from a change of employers, the obligor, the obligee, or the child support agency may send the new employer a copy of the order requiring the employee to provide health insurance or dental insurance for a child or notice of the medical support order or the dental support order as provided by this subchapter. Added by Acts 1995, 74th Leg., ch. 20, Sec. 1, eff. April 20, 1995. Amended by Acts 1997, 75th Leg., ch. 911, Sec. 14, eff. Sept. 1, 1997. Acts 2015, 84th Leg., R.S., Ch. 1150 (S.B. 550), Sec. 23, eff. September 1, 2018. Sec. 154.190. RE-ENROLLING CHILD FOR INSURANCE COVERAGE. After health insurance or dental insurance has been terminated or has lapsed, an obligor ordered to provide health insurance coverage or dental insurance coverage for the child must enroll the child in a health insurance plan or a dental insurance plan at the next available enrollment period. Acts 2015, 84th Leg., R.S., Ch. 1150 (S.B. 550), Sec. 24, eff. September 1, 2018. Sec. 154.191. REMEDY NOT EXCLUSIVE. (a) This subchapter does not limit the rights of the obligor, obligee, local domestic relations office, or Title IV-D agency to enforce, modify, or clarify the medical support order or dental support order. (b) This subchapter does not limit the authority of the court to render or modify a medical support order or dental support order to provide for payment of uninsured health expenses, health care costs, health insurance premiums, uninsured dental expenses, dental costs, or dental insurance premiums in a manner consistent with this subchapter. Acts 2009, 81st Leg., R.S., Ch. 767 (S.B. 865), Sec. 12, eff. June 19, 2009. Acts 2015, 84th Leg., R.S., Ch. 1150 (S.B. 550), Sec. 25, eff. September 1, 2018. (2) the child is enrolled in comparable insurance coverage or will be enrolled in comparable coverage that will take effect not later than the effective date of the cancellation or elimination of the employer’s coverage. Added by Acts 1995, 74th Leg., ch. 20, Sec. 1, eff. April 20, 1995. Amended by Acts 1995, 74th Leg., ch. 341, Sec. 4.06, eff. Sept. 1, 1995. Acts 2015, 84th Leg., R.S., Ch. 1150 (S.B. 550), Sec. 26, eff. September 1, 2018. Sec. 154.193. MEDICAL SUPPORT ORDER OR DENTAL SUPPORT ORDER NOT QUALIFIED. (a) If a plan administrator or other person acting in an equivalent position determines that a medical support order or dental support order issued under this subchapter does not qualify for enforcement under federal law, the tribunal may, on its own motion or the motion of a party, render an order that qualifies for enforcement under federal law. (b) The procedure for filing a motion for enforcement of a final order applies to a motion under this section. Service of citation is not required, and a person is not entitled to a jury in a proceeding under this section. (c) The employer or plan administrator is not a necessary party to a proceeding under this section. Added by Acts 1997, 75th Leg., ch. 911, Sec. 15, eff. Sept. 1, 1997. Acts 2015, 84th Leg., R.S., Ch. 1150 (S.B. 550), Sec. 27, eff. September 1, 2018. Acts 2015, 84th Leg., R.S., Ch. 1150 (S.B. 550), Sec. 28, eff. September 1, 2018. Sec. 154.241. LOCAL REGISTRY. (a) A local registry shall receive a court-ordered child support payment or a payment otherwise authorized by law and shall forward the payment, as appropriate, to the Title IV-D agency, local domestic relations office, or obligee within two working days after the date the local registry receives the payment. (b) A local registry may not require an obligor, obligee, or other party or entity to furnish a certified copy of a court order as a condition of processing child support payments and shall accept as sufficient authority to process the payments a photocopy, facsimile copy, or conformed copy of the court’s order. (c) A local registry shall include with each payment it forwards to the Title IV-D agency the date it received the payment and the withholding date furnished by the employer. (d) A local registry shall accept child support payments made by personal check, money order, or cashier’s check. A local registry may refuse payment by personal check if a pattern of abuse regarding the use of personal checks has been established. Abuse includes checks drawn on insufficient funds, abusive or offensive language written on the check, intentional mutilation of the instrument, or other actions that delay or disrupt the registry’s operation. (e) Subject to Section 154.004, at the request of an obligee, a local registry shall redirect and forward a child support payment to an address and in care of a person or entity designated by the obligee. A local registry may require that the obligee’s request be in writing or be made on a form provided by the local registry for that purpose, but may not charge a fee for receiving the request or redirecting the payments as requested. (f) A local registry may accept child support payments made by credit card, debit card, or automatic teller machine card. (g) Notwithstanding any other law, a private entity may perform the duties and functions of a local registry under this section either under a contract with a county commissioners court or domestic relations office executed under Section 204.002 or under an appointment by a court. Added by Acts 1995, 74th Leg., ch. 20, Sec. 1, eff. April 20, 1995. Amended by Acts 1995, 74th Leg., ch. 751, Sec. 42, eff. Sept. 1, 1995; Acts 2003, 78th Leg., ch. 645, Sec. 1, eff. Sept. 1, 2003. Acts 2005, 79th Leg., Ch. 740 (H.B. 2668), Sec. 2, eff. June 17, 2005. (3) the state disbursement unit. (b) A local registry may transmit child support payments to the Title IV-D agency by electronic funds transfer. Unless support payments are required to be made to the state disbursement unit, an obligor may make payments, with the approval of the court entering the order, directly to the bank account of the obligee by electronic transfer and provide verification of the deposit to the local registry. A local registry in a county that makes deposits into personal bank accounts by electronic funds transfer as of April 1, 1995, may transmit a child support payment to an obligee by electronic funds transfer if the obligee maintains a bank account and provides the local registry with the necessary bank account information to complete electronic payment. Added by Acts 1995, 74th Leg., ch. 20, Sec. 1, eff. April 20, 1995. Amended by Acts 1995, 74th Leg., ch. 597, Sec. 1, eff. Jan. 1, 1996; Acts 1997, 75th Leg., ch. 702, Sec. 2, eff. Jan. 1, 1998; Acts 1997, 75th Leg., ch. 1053, Sec. 2, eff. Sept. 1, 1997; Acts 1999, 76th Leg., ch. 556, Sec. 10, eff. Sept. 1, 1999. Sec. 154.243. PRODUCTION OF CHILD SUPPORT PAYMENT RECORD. The Title IV-D agency, a local registry, or the state disbursement unit may comply with a subpoena or other order directing the production of a child support payment record by sending a certified copy of the record or an affidavit regarding the payment record to the court that directed production of the record. Added by Acts 1995, 74th Leg., ch. 20, Sec. 1, eff. April 20, 1995. Amended by Acts 1999, 76th Leg., ch. 556, Sec. 10, eff. Sept. 1, 1999. (1) “Adult child” means a child 18 years of age or older. (2) “Child” means a son or daughter of any age. (2) the disability exists, or the cause of the disability is known to exist, on or before the 18th birthday of the child. (b) A court that orders support under this section shall designate a parent of the child or another person having physical custody or guardianship of the child under a court order to receive the support for the child. The court may designate a child who is 18 years of age or older to receive the support directly. Added by Acts 1995, 74th Leg., ch. 20, Sec. 1, eff. April 20, 1995. Amended by Acts 1997, 75th Leg., ch. 1173, Sec. 1, eff. Sept. 1, 1997. (C) is determined by the court to be capable of managing the child’s financial affairs. (b) The parent, the child, if the child is 18 years of age or older, or other person may not transfer or assign the cause of action to any person, including a governmental or private entity or agency, except for an assignment made to the Title IV-D agency under Section 231.104 or in the provision of child support enforcement services under Section 159.307. Added by Acts 1995, 74th Leg., ch. 20, Sec. 1, eff. April 20, 1995. Amended by Acts 1997, 75th Leg., ch. 1173, Sec. 2, eff. Sept. 1, 1997. Acts 2011, 82nd Leg., R.S., Ch. 508 (H.B. 1674), Sec. 2, eff. September 1, 2011. Sec. 154.304. GENERAL PROCEDURE. Except as otherwise provided by this subchapter, the substantive and procedural rights and remedies in a suit affecting the parent-child relationship relating to the establishment, modification, or enforcement of a child support order apply to a suit filed and an order rendered under this subchapter. (2) as an independent cause of action or joined with any other claim or remedy provided by this code. (b) If no court has continuing, exclusive jurisdiction of the child, an action under this subchapter may be filed as an original suit affecting the parent-child relationship. (c) If there is a court of continuing, exclusive jurisdiction, an action under this subchapter may be filed as a suit for modification as provided by Chapter 156. (4) any other financial resources or other resources or programs available for the support, care, and supervision of the adult child. Sec. 154.307. MODIFICATION AND ENFORCEMENT. 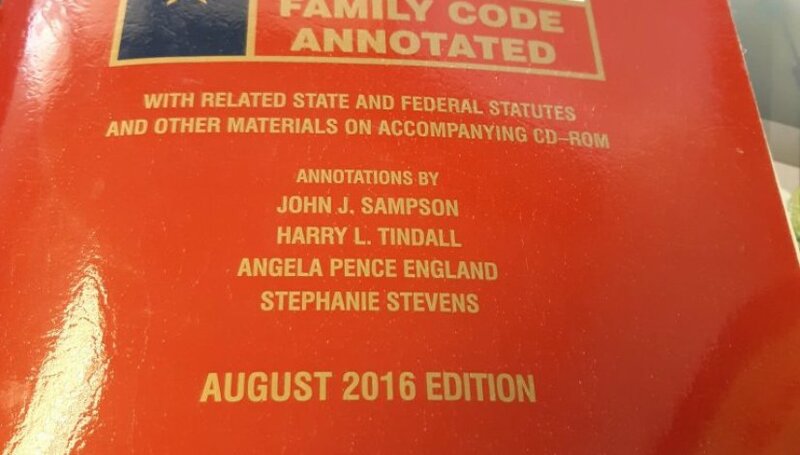 An order provided by this subchapter may contain provisions governing the rights and duties of both parents with respect to the support of the child and may be modified or enforced in the same manner as any other order provided by this title. (2) ability to contract for the support of a disabled child. (b) This subchapter does not affect the substantive or procedural rights or remedies of a person other than a parent, including a governmental or private entity or agency, with respect to the support of a disabled child under any other law. Sec. 154.309. POSSESSION OF OR ACCESS TO ADULT DISABLED CHILD. (a) A court may render an order for the possession of or access to an adult disabled child that is appropriate under the circumstances. (b) Possession of or access to an adult disabled child is enforceable in the manner provided by Chapter 157. An adult disabled child may refuse possession or access if the adult disabled child is mentally competent. (c) A court that obtains continuing, exclusive jurisdiction of a suit affecting the parent-child relationship involving a disabled person who is a child retains continuing, exclusive jurisdiction of subsequent proceedings involving the person, including proceedings after the person is an adult. Notwithstanding this subsection and any other law, a probate court may exercise jurisdiction in a guardianship proceeding for the person after the person is an adult. Added by Acts 1995, 74th Leg., ch. 751, Sec. 43, eff. Sept. 1, 1995. Acts 2007, 80th Leg., R.S., Ch. 453 (H.B. 585), Sec. 1, eff. June 16, 2007. This was excerpted from the Family Code.